These railings provide a full view from your favorite deck or patio. Several of our railings can be used indoors or outdoors. BHI supplies a breadth of railing options that can fit any home design you have. Whether you are looking for an amazing railing for your O’Fallon home or commercial location, we can customize an all glass view just for you! Railing Installation Company O’Fallon. For St Louis and O’Fallon property owners looking for railing options and installation specialists, BHI can guide you through our wide selection of railings to choose the best fit for your home or property. We provide railing options that are perfect for decks, staircases *both indoor and outside, and pool decks. BHI is the premier provider of exterior remodeling and renovation services for O’Fallon, including railing installation. We want your home design to be perfect, that’s why we are dedicated to personalizing your experience so that you receive exactly what you want, and that you are excited about your choice! What do I do as the homeowner? Sit back and enjoy the comfort of your O’Fallon home while our railing experts put everything together for you. Butler provides accurate project timelines. What other services does Butler offer? Kitchen remodeling, bathrooms, handyman service, and others. 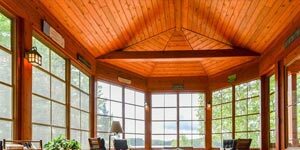 We excel at exterior remodeling. We also offer our White Glove Services to other businesses. BHI is and industry leader in providing railing installation services in O’Fallon. By utilizing industry leading products and practices, we can give the best possible deal for railing design and installation! We offer several styles of railings with unlimited customization options to ensure that you have the flexibility to match your railing with the style of your home or property. Your amazing outdoor space deserves the perfect railing, and you don’t want to settle for anything less than what you absolutely need. 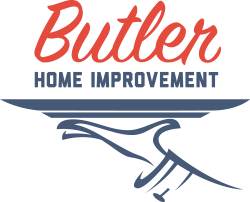 Butler Home Improvement is the preferred Railing Installation Company in O’Fallon because we provide professional installations, have a wide selection of products that our competitors can’t match, have unbeatable warranties, and always seek to meet every expectation and desire that our customers demand. 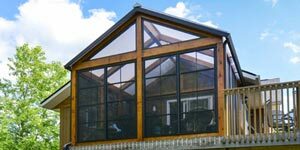 If you need more than a railing project, we also offer Sunroom Installation, Deck Construction, Slide Clear Doors, Screen Rooms, Weather Master Porch Windows, and more. When you’re ready to optimize your outdoor space, call or contact BHI now! We’ll work with your schedule and your needs to make sure your project is perfect. We’re a serious Railing Installation Company in O’Fallon, and we’ll proud to call you one of our clients.